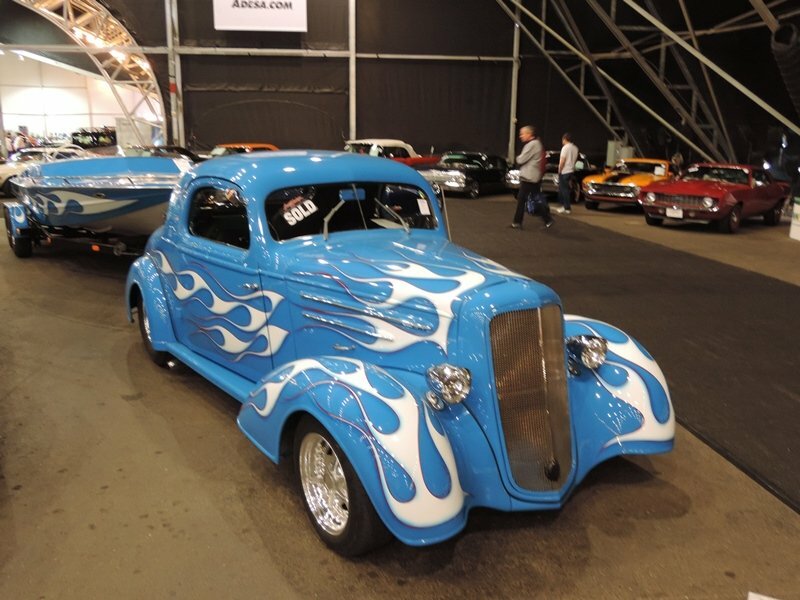 Count’s Kustoms painted a Laveycraft speedboat to match a customer’s 35 Chevy Master coupe in season one of History Channel’s Counting Cars. 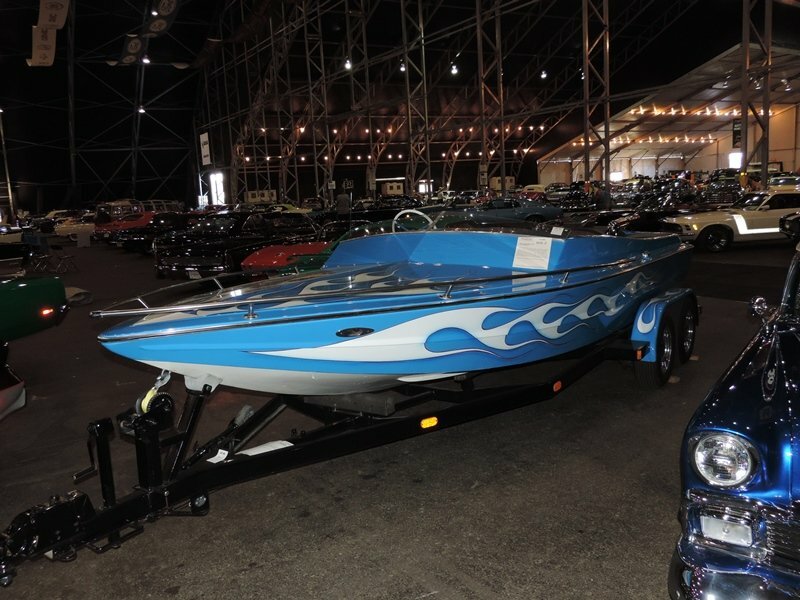 It isn’t often you see a boat, trailer and classic all painted with the same paint scheme but it was sold at Barrett-Jackson in Scottsdale in January, 2014. The trailer, boat and Chevy sold in a package deal. One bid won all three items. After all what would a seller do with a boat trailer after he sells the boat? 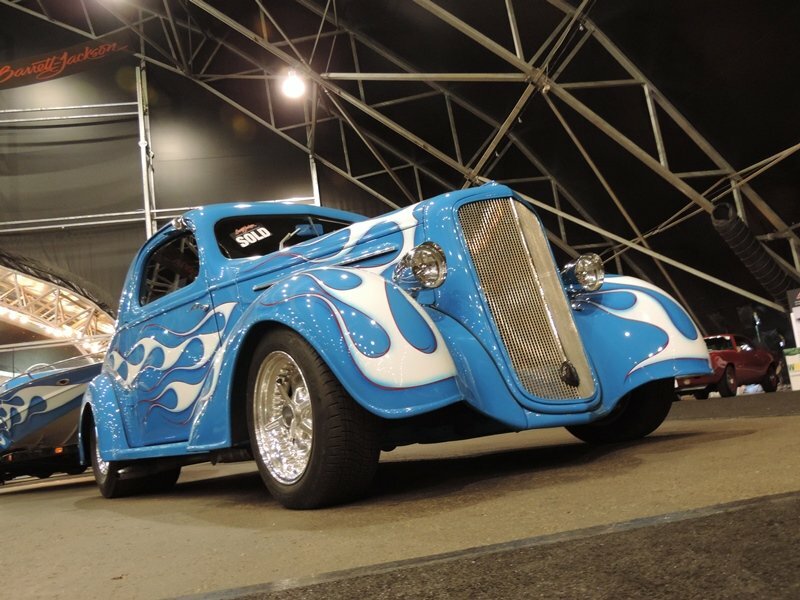 Count’s Kustoms is a hot rod shop based in Las Vegas and featured in a reality series on the History Channel. The show focuses more on the people and their stories than the actual builds. We had the chance to meet the Count and his shop’s manager Kevin at SEMA and they were genuinely nice, friendly folks. 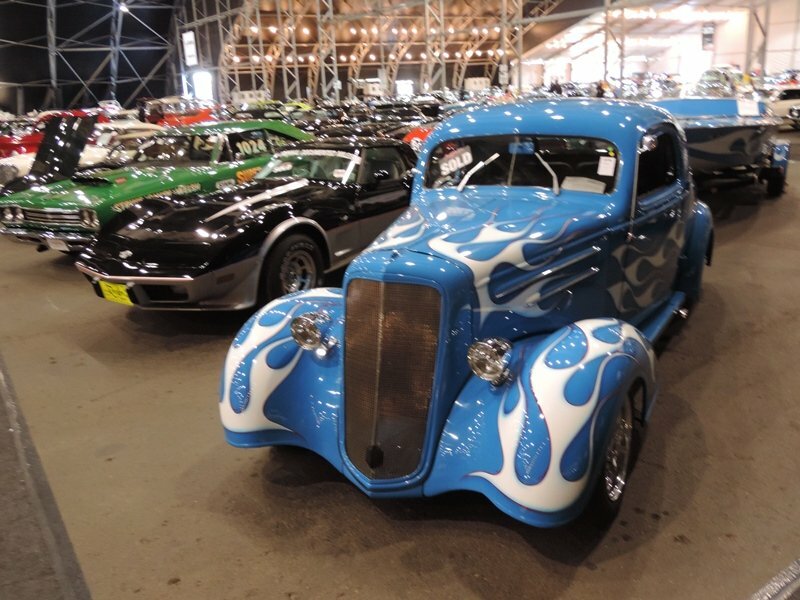 Guess the customer was tired of the trio and opted to sell the set at Barrett-Jackson and play up the association with the Count and Counting Cars. 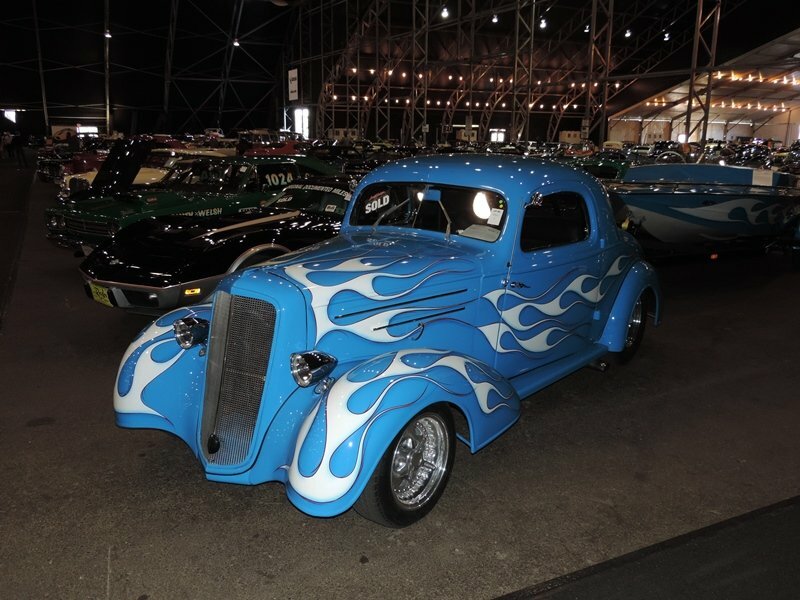 The Chevy coupe had the matching paint scheme of white flames on a baby blue sheet metal. It had a tube frame and is powered by a Chevy 502 with a Mustang front end and a four link rear suspension. The boat had been out of the water for a while and was a display model. Overall all three pieces sold for $45,100 (with commission). To my eyes the seller got a nice ride with a boat and trailer to boot. As long as you liked the paint scheme it was nicely bought for and a bargain, especially given its connection to the Count !